Mortal Kombat (2005-2007) > Jazwares Inc.
- These images are exclusive to FigureCollections.com. No other website has ever supplied these images to anyone! Included is a 4 Pack, Kintaro, Rayden, and the scoop on figures they never released! - Wave two featured the same figures as the first wave, just smaller bubbles, with the exception of Raiden's who stayed the same. Figures came with less accessories. This may have been so more figures could fit in a case. - Mortal Kombat Wave 3 featured all new figures. A classic look for Scorpion, Sub Zero, Kung Lao, and Liu Kang were all featured in this set with the smaller bubbles on the blister. - Mortal Kombat Wave 4 was what you might call a "best of" series. It featured a different color scheme on the card, which I like to think is reminiscent of Mortal Kombat II. Figures included were Sub Zero, Scorpion, Raiden, and Baraka. Known differences: Raiden had white eyes, as opposed to black eyes in the first release. The golden part of Raidens costume is more brightly. Baraka's skin looks different to the first release. Sub-Zero, unknown differents. Scorpion, unknown differents. - Mortal Kombat wave 5 featured a brand new packaging style. The first set in the style featured a total of 8 figures. Liu Kang, Kung Lao, Sub Zero, Noob (gray colored), Johnny Cage, Reptile, and Kano were all featured. This set is easily identifiable by the Jazwares logo being in the bottom left corner of the packaging. This set saw many different waves for well over a year, however only 4 figures were sent to retailers: Noob, Kano, Cage, and Reptile, while the other 4 were never released again. - Mortal Kombat Wave 6 was the same four figures that kept getting rereleased in time's past. Kano, Reptile, Cage, and Noob. The difference was Noob was finally in all black. Rumors said that Reptile would have an even longer tongue in this release, though it was never seen. 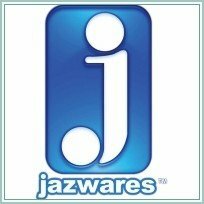 - Wave 7 was the final wave done by Jazwares. I personally have attempted contacting the company and leaving messages but nothing has ever been returned. - An online retailer, ToyRocket had announced that they would be offering Mortal Kombat: Shaolin Monks fans with a San Diego Comic-Con exclusive of GORO. This figure is limited to 1800 with the retail price 19.99.